The Bateleur, Terathopius Ecaudatus, is a striking Eagle . Its colourful plumage and short tail render it unmistakeable. “Ecaudatus” in Latin means “ tail-less “. In Afrikaans it is called “Berghaan “ literally “Mountain Rooster” – a good description ! 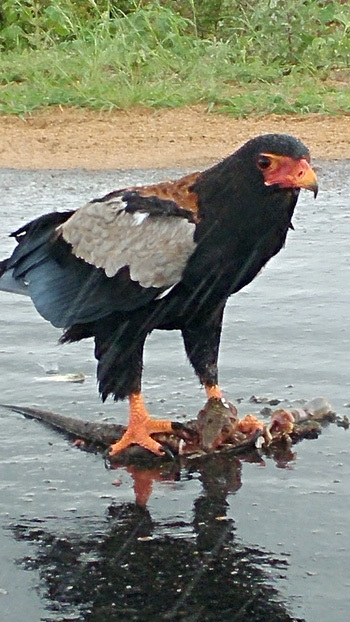 Bateleur feeding on Monitor Lizard. The word “Bateleur” is French and refers to the side to side rocking motion displayed by this eagle when gliding – not dissimilar to the action of a trapeze artist walking across the high rope. In the Kruger Park, our guides easily identify the Bateleur in flight – the legs protrude beyond the short tail so it is very readily recognised. It preys on rodents, young antelope and reptiles including snakes. A large proportion of its meals is road-kill. Unfortunately ( maybe fortunately for the Bateleur ) there is a fair amount of road-kill in Kruger. We made a decision over 20 years ago to remove radios from our Kruger vehicles. 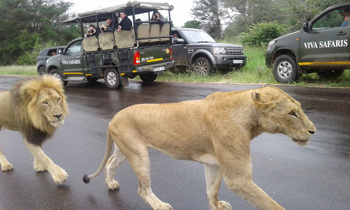 In the south of Kruger where there are huge numbers of Open Vehicles, it is indeed a problem when a sighting is radioed as up to 50 vehicles converge there. In their eagerness to show the tourists a really special sighting some drivers may exceed the limit and that is how road-kill occurs. We trust that the absence of radios will help keep the Viva guides driving within the legal speed limit. Invariably our guides are informed by well-meaning tourists as to where a good sighting is located and we hope that they behave ethically. On a bush walk we were lucky to find some very fresh tracks and territorial marking of a male leopard close to the river. We must have missed that leopard by only a few seconds, as the baboons, squirrels and birds were alarm – calling. Our guests felt especially blessed to have this experience. We regularly see a female hippo and her calf grazing outside the water – such a privilege to see the baby following his mum. With the abundance of Marula fruit, we have been seeing male elephants picking up marula fruits, walking from one marula tree to another. We have also viewed a pride of 8 ( becoming 9 ) lions. There is a new young male with them. On Rome 1 near the Spruit, we viewed some buffaloes, about 30 individuals in that breeding herd. There are also regular sightings of elephant here. I conducted a drive with some German guests. We had been driving on Rome 1 past the Spruit and stopped to talk about a broken marula that the elephants had pushed over. We then saw a young bull elephant coming slowly towards us. 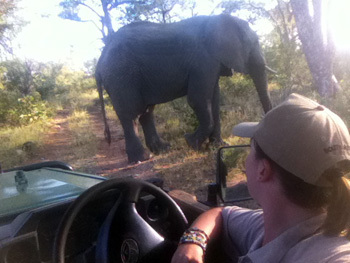 The young bull stopped right in front of the Landcruiser picking up some marula fruits. My guests were stunned by his size. This month we’ve been pretty lucky with lots of lions sightings. On Ezulwini plains we often find the whole pride of 8 + 1 foreigner new male. We have heard elephants trumpeting at night around Tremisana Lodge. Good close up of lion. On one occasion this month, a cheetah was not far from some lions we had seen resting under a tree. It moved in their direction and luckily the wind brought him their scent and he ran away. In Kruger we are seeing a massive crocodile at Nsemani dam. One morning it caught a baby Impala. Near Orpen gate we managed to get close to a cheetah drinking water next to the road. On the S41 we found half of the mega pride sleeping next to the road as it was very windy and cold. 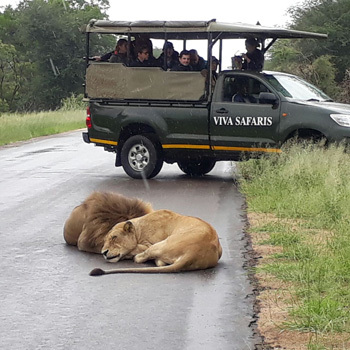 It started raining while we were watching the sleeping lions, and, to our surprise, a few more lions came out of the bushes and approached our game viewer and joined the ones near our vehicle. This month there has been a pack of 6 hyenas around Tremisana. We have seen them regularly at around 21:00 when we come back from Marula Boma. Despite the rising water level of the Olifants River, we are still seeing hippos. On a sunset drive on Barnard we saw 2 male lions and 3 females lying down. They had fed on a buffalo. We then drove to Marula Boma for Bush BBQ and there we saw an elephant that was in musth. He was making a horrible noise and the guests were really impressed. On the 4th, it was difficult to find animals because of the long grass and thick bushes and water all over the bush. We were lucky to find lions at Mazithi dam, a leopard a few km later, buffaloes at Mudzandzeni picnic area and elephants around Orpen. No Rhino – I am told that poaching is slowing down – I hope so. On the 23rd : Kruger again : a lioness at Mazithi dam , buffaloes near Muzandzeni, elephants Sweni road, and a leopard at Bobbejaankrans. We were thrilled to find 13 Wild Dogs on Rabelais road lying on the road. On the 26th Kruger, general games on the H7, two hyenas crossing the road; lots of elephants everywhere, near Nsemani Dam a mating pair of lions on the road. We stayed with them for a long time – guests were happy. Two cheetahs at Sweni Bridge eating impala right next to the road, elephants on Sweni road, at Welverdiend windmill 2 lionesses lying next to the road. Great day ! We have had good sightings on Balule this month – lots of elephants and lions. The elephants have been seen all over especially on the Marula road and Rome 1. Lions also have been moving around and we have seen them often around the dams on the Barnard property. We have also had good sightings of White and Black rhino that have been seen regularly in certain areas. Buffalos are seen near Marula Boma regularly and we have had fewer leopard sightings – mainly near the Spruit and river on Rome 1. On the 1st : 3km from the Orpen reception we found a cheetah next to the road. She kept walking and calling as if she has lost her cubs or partner. She finally crossed the road in front of us and went into the bush. On the 3rd on the S100 we found 3 lions feeding on a buffalo. On the 21st, only 1km from Tremisana Lodge on Olifants road we found a pride of seven lions lying under a Marula tree. On the 24th we found cheetah with 5 cubs on H7, 5km from Satara eating an Impala. A whole lot of vultures flew down and succeeded in chasing all the cheetahs away. Later on, on the S106 we saw a pack of over 20 Wild Dogs. 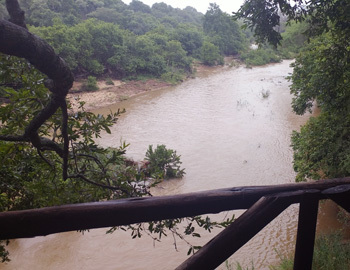 Kruger has been very wet this month, especially with cyclone Dineo passing through. This is very good for the vegetation but not always for the guests. We have had some amazing sightings this month starting with a breeding herd of about 200 Elephant. They passed in front of us and behind us. We spent about 45 min with them, truly breathtaking! On another day it was very rainy the whole day, we saw a lot of general game and Elephant but not many cats, until Patrick found a big male lion laying down in the bush! We arrived early at Orpen but decided to go back and drive around in search of something and found a leopard with a fresh kill right next to the road! One of the most beautiful sightings of leopard in a while! On the way out on the same day there where 3 White Rhino not far from the road. The best day of the month for me was recently where we found a male and female Lion walking past us right next to the vehicle! They walked down the road and then started making! We viewed them for a while and went in search for more. Not far from the sighting we found 2 male cheetah eating an Impala with about 50 vultures waiting to get their share! Amongst them was the critically endangered White – headed vulture as well as the Lappet – faced vulture. I started to working as a guide for Viva Safaris on the 6th February 2017. I am enjoying the work and am doing walks on Marc’s Camp property as well as Kruger Park safaris. I have done bush walks with Daniel on these walks we see giraffes, impalas and nyalas as well as leopard tracks. In the Kruger we have seen lions mating, wild dogs crossing the road, big buffalo herds, elephants drinking water at Nsemani Dam , a few leopards and three white rhinos that unfortunately seem to hang out in the same area – dangerous as poachers will possibly get them ! 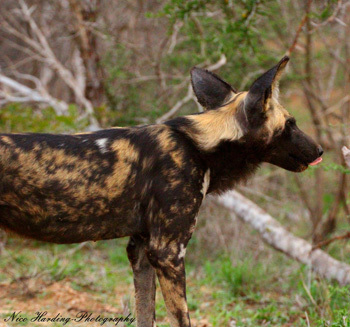 Good shot of Wild Dog. All the Viva guests were extremely happy about all our game drives in Kruger Park. The bush walk at Marc’s on 23 Feb 2017 turned out to be very different. We walked along the usual route going west away from Marcs Camp. We stopped and looked at a few trees and a millepede. At that moment we were on the north-west game fence boundary. I was describing the Marula tree when we heard a deep growl some 100 metres away from us down the road along the game fence. We all turned and looked down the road from where the growl came. We saw nothing and we decided to walk on away from where the growl came. As we walked away I was at the rear, I turned and looked back to see a leopard jumping clear over the game fence. The following morning the bush walk had been cancelled due to heavy drizzle. One tourists started to ask if there was something else he could do. I offered to him to still go on with the bushwalk despite the drizzle. We followed the same route as usual. When we got to the game fence the drizzle started to subside. At the very spot where the leopard had jumped the previous day I stopped to explain to him the events of previous day. We both suddenly heard the growling of the leopard at 50 metres from us on the other side of the fence. 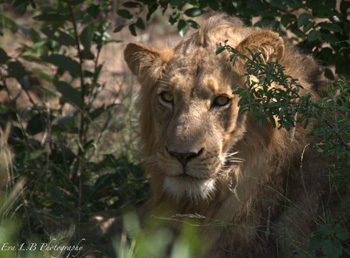 I think it is a territorial male that has been seen at Marc’s camp by guides and drivers. It is preying on the numerous nyala found all over Marc’s Camp. Tremisana Game Lodge has had two thatch umbrellas erected at the swimming pool. The monkey troop managed to break most of the normal cloth umbrellas. We have added chicken wire to the new thatch to keep the umbrellas intact. 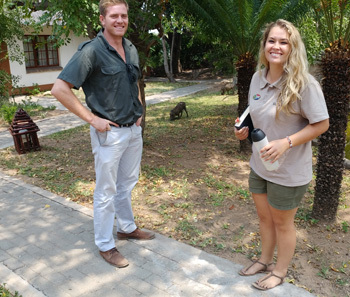 Zanelle and Luke with baby warthog at Tremisana Lodge. Marc’s Treehouse Lodge has had much more rain than Tremisana and we have added more poles as stepping places over the ground. The nyala are being preyed on by a leopard that seems too tame for our liking. Our tourists need to be vigilant at all times. Full Klaserie River view from deck of Treehouse 2. Katekani Tented Lodge also had a huge amount of rain so we will not be opening our next 2 units on 1 April – probably a month later. Masango Camp had its first tourists who seemed very happy. We are offering a SPECIAL RATE at Masango from 1 March 2017 to 30 June 2017. As indicated previously, Viva Safaris is committed to uplifting the local communities that live around the Kruger Park. 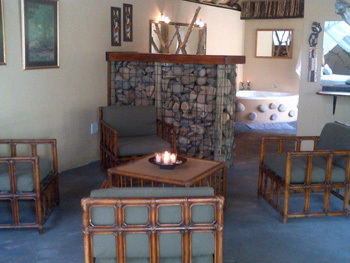 We have engaged with Manyeleti Game Reserve, adjacent to Kruger Park with its main entrance 1 km from the gate to Orpen. After breakfast at our lodge, we enter Manyeleti and spend the morning and early afternoon viewing game. Lunch will be served by the community and will be a traditional Shangaan meal. 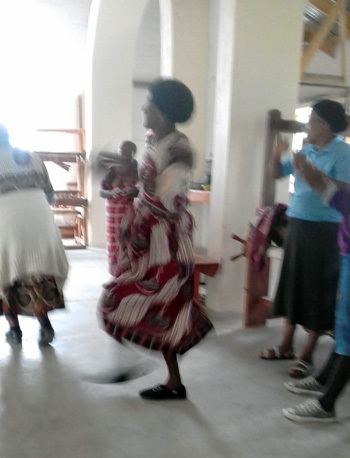 Traditional dancing and singing by local school children will accompany the meal. There will be locally made curios and artefacts for sale. After this, we drive through Acornhoek seeing how the local population lives. Return to camp in the late afternoon. It is my fervent hope that this new product is successful as many local people will benefit. If we think it has been a success in 2017 we may introduce it to our 5 day safari packages in 2018. 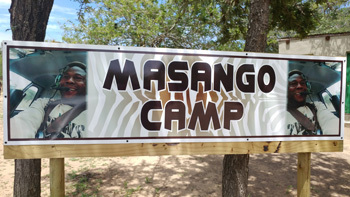 As mentioned, we are offering a discount for the safari package that is based at Masango Camp. The discounts are over 10%. Our sleep out safaris are on the increase – thanks for your support. When it rains, we accommodate the guests in covered areas. 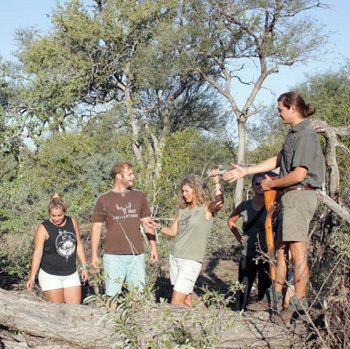 Christopher and guests on Sleep Out Safari enjoy a Bush Walk. 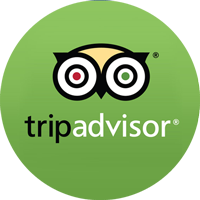 Fabulous place and room – really a 5-star experience. Our own porch, our own little pool, a huge bed, lots of space, beautifully designed, etc. Also, great people. They really treated us with so much personal attention, and we loved that we ate dinner with the guide at night. 1) We wish they gave an option of some traditional African food. On the last day, we requested it and it was amazing – the best thing we ate the whole time. It was delicious and felt more authentic and South African and safari like, etc. 2) All the drives we went on were great, except for Kapama. You might not go there, but it’s a “Ferrari safari” that was really dangerous for us and the animals. We want to observe the animals, not terrorize them. We also spoke with three other families about it, each of which was very unhappy with Kapama. Besides those tweaks, we loved Katekani and would highly recommend it! Everything was great! Organization, accommodation, prices and the people!! I’d recommend Viva Safari for anyone that is planning a trip to Africa!